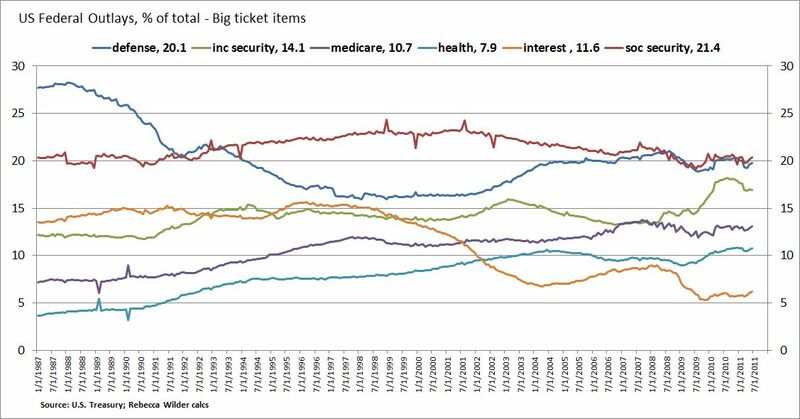 A Look at Government Spending Trends. Not What the Deficit-Fearers Claim. It’s Really A Jobs Deficit. 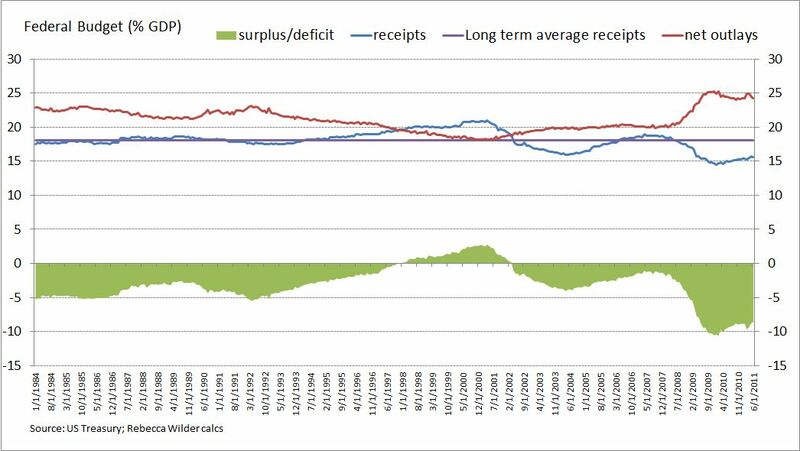 First things first, the fiscal deficit – receipts minus net outlays as a % of GDP – is big [by historical comparison]. In June 2011, the 12-month rolling sum of net receipts (the budget deficit) was roughly 8.5% of a rolling average of GDP. This is down from its 10.6% peak in February 2010, but the level of deficit spending clearly makes some nervous. The chart below illustrates the big ticket items of the monthly outlays – roughly 87% of total outlays. The broad spending components are listed in Table 9 of theMonthly Treasury Statement. The long-term average shares of total spending are indicated in the legend. The same deal exists with the ‘smaller ticket items’. 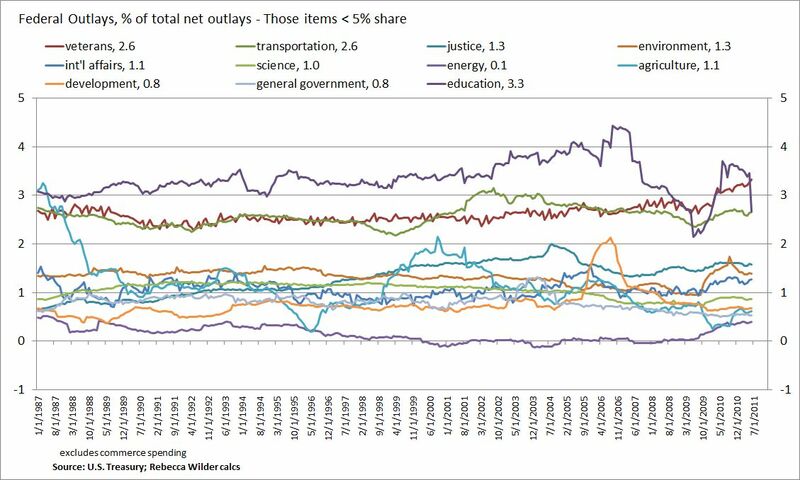 Of these <5% of total spending items, energy, environment, and veterans have arguably broken trend. I would surmise that some of the ‘veterans’ spending is tied to the business cycle, given the timing of the surge. You seem to jump to the conclusion that we should spend more to generate more jobs. Can you explain that? If our only “stimulus” has gone to unemployment and food stamps, what’s to say another stimulus won’t produce the same results?